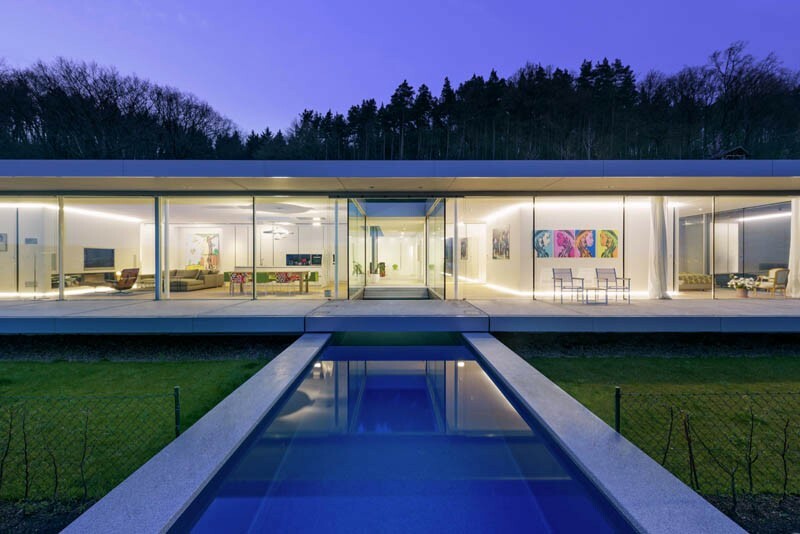 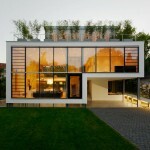 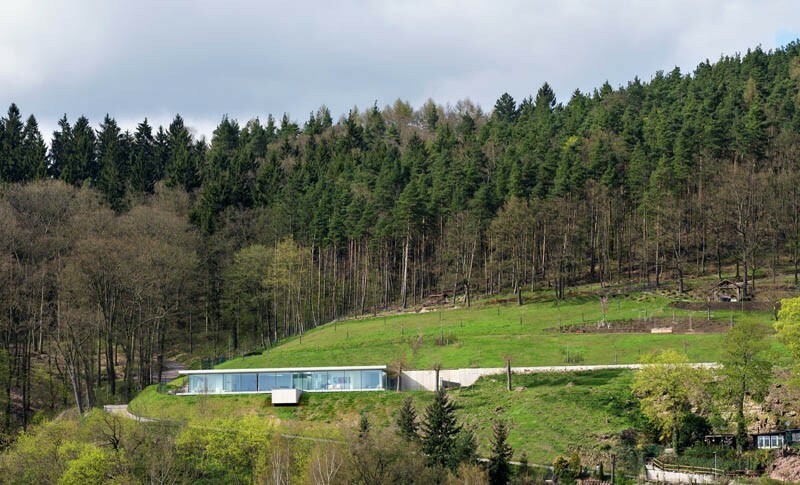 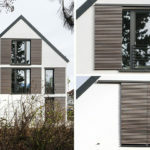 Paul de Ruiter Architects designed this new house on a hillside, in a rural area of Thuringia, Germany. 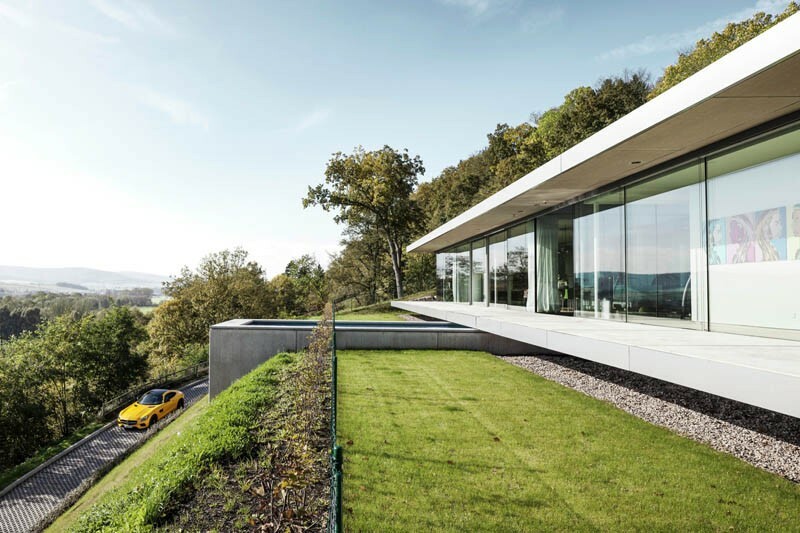 The house is mostly glass, steel and concrete, and features a central swimming pool that thrusts forward, enjoying views of the surrounding valley. 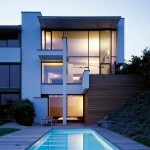 There is a U-shaped deck that surrounds the house on three sides. 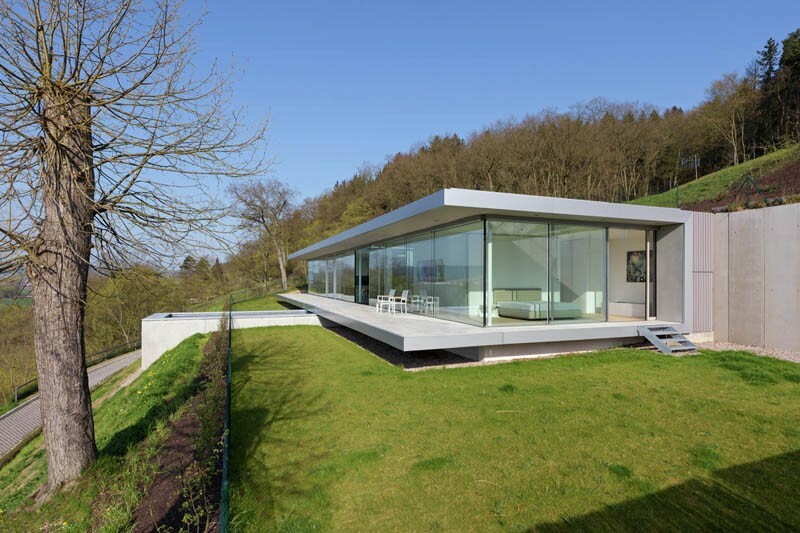 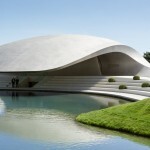 A swimming pool cuts through the center of the house, and protrudes out over the hillside. 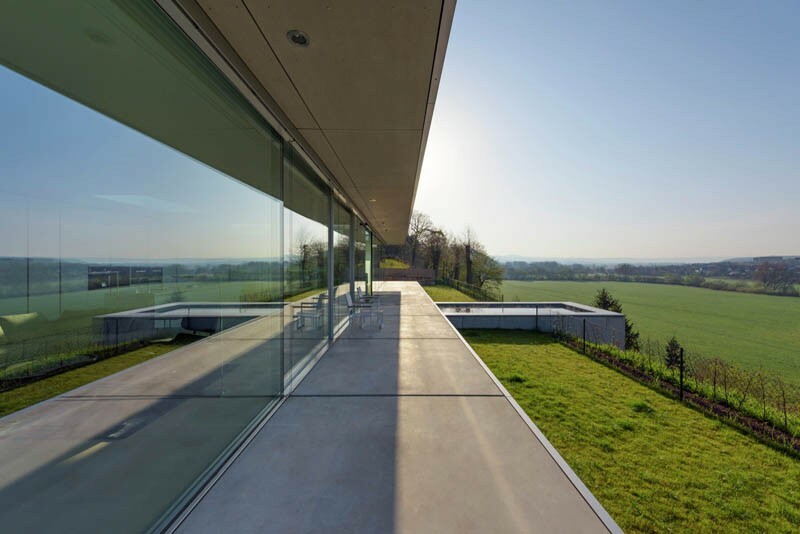 Floor to ceiling glass windows provide amazing views over the valley. 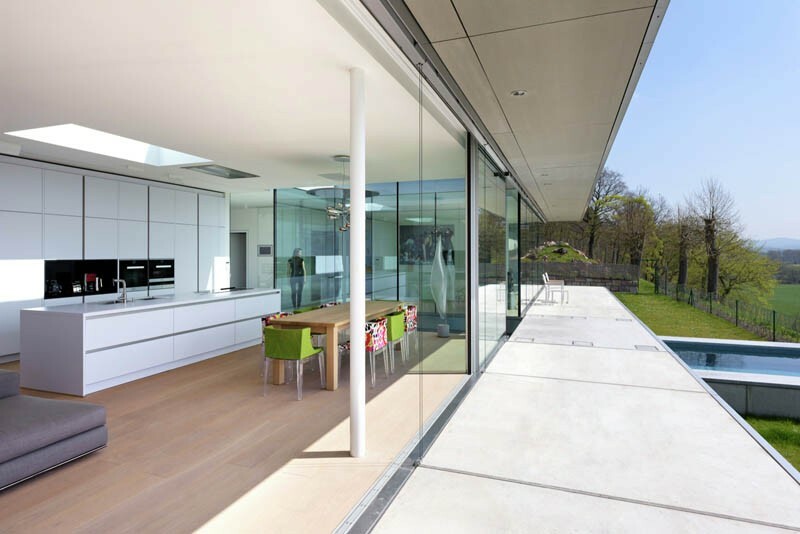 Glass walls separate the living area from the bedrooms.